There are multiple reasons for my dragging my feet, primarily that I have been very busy with life in general, but truthfully I have also been having a very hard time finding the right approach to these posts. We did SO MUCH in just a few days and ate so much incredible food, and I have been struggling with how to break everything down in the best organized way without risking information overload. Finally I forced myself to sit down and find a way, gosh darn it! And find a way I did. 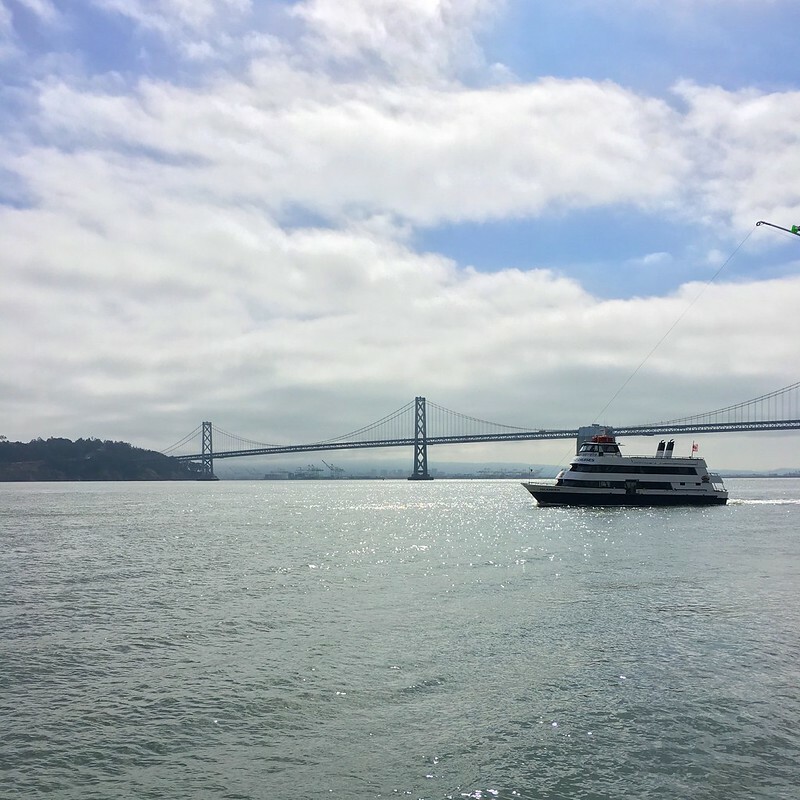 I’ll share three posts about our experiences in San Francisco and then one or two posts about wine country. 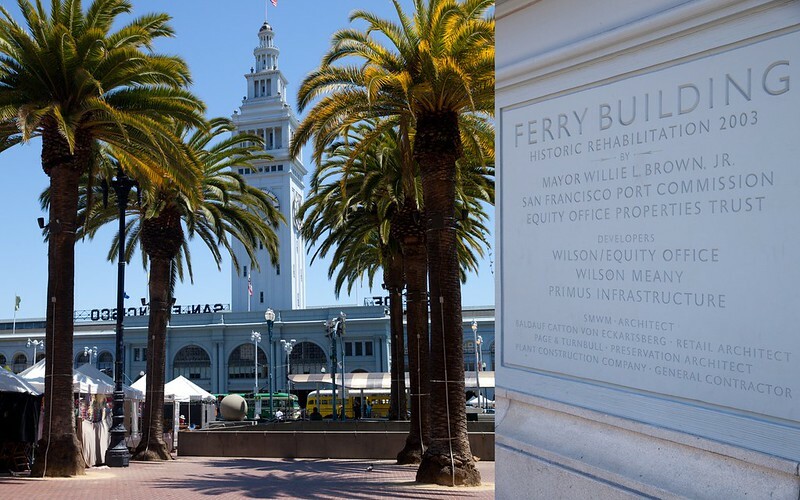 I’m kicking these posts off with the Ferry Building. I would love to pretend like my excellent research and trip planning had me totally prepared for all of the amazingness contained within this one location, but I’m going to keep it real. The real reason I ventured there at all was for the farmers market. 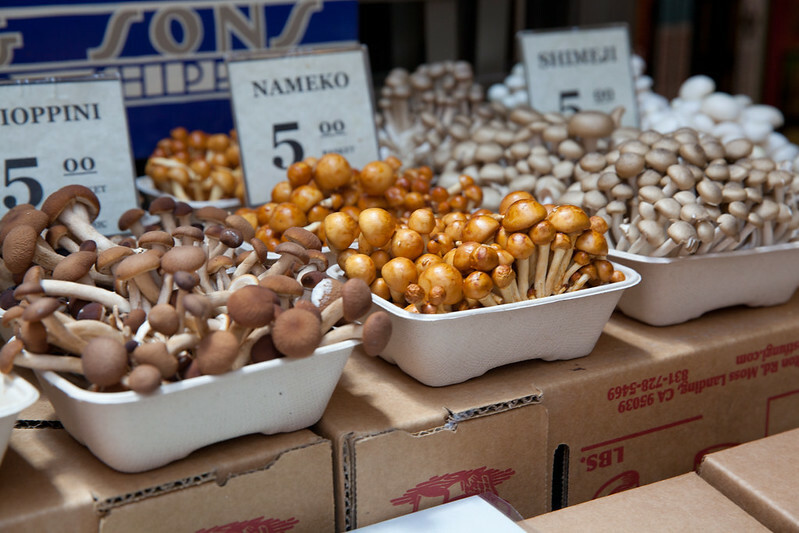 I love a good farmers market and it was a no brainer that one in San Fran was going to be off the hook. 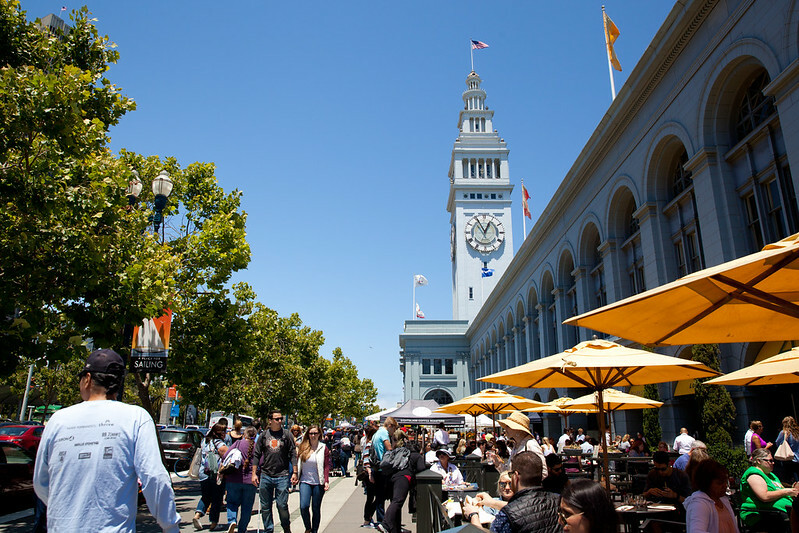 I did some reading and realized that the Ferry Building has a great one that is open multiple days of the week, and by far has the most vendors on Saturday. I timed our arrival so that we could spend a few hours at the market before heading on to other things. We dropped our stuff at our hotel, walked down to the piers, and started exploring. As expected, this market was simply a dream. It is hard to find words to capture all of the beauty contained in this place. 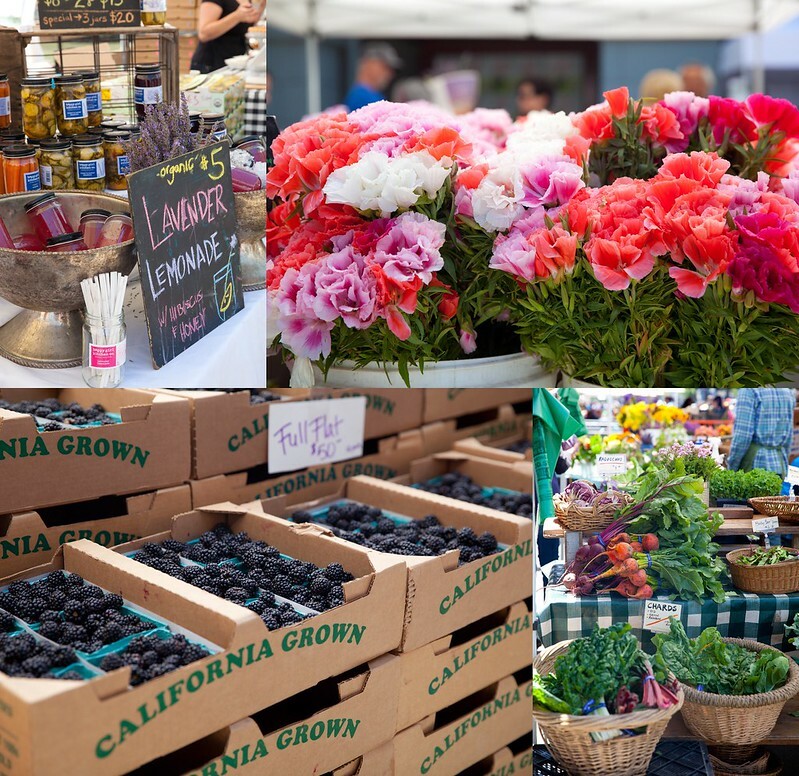 Such incredible produce, flowers, baked goods, and more at each and every stand. 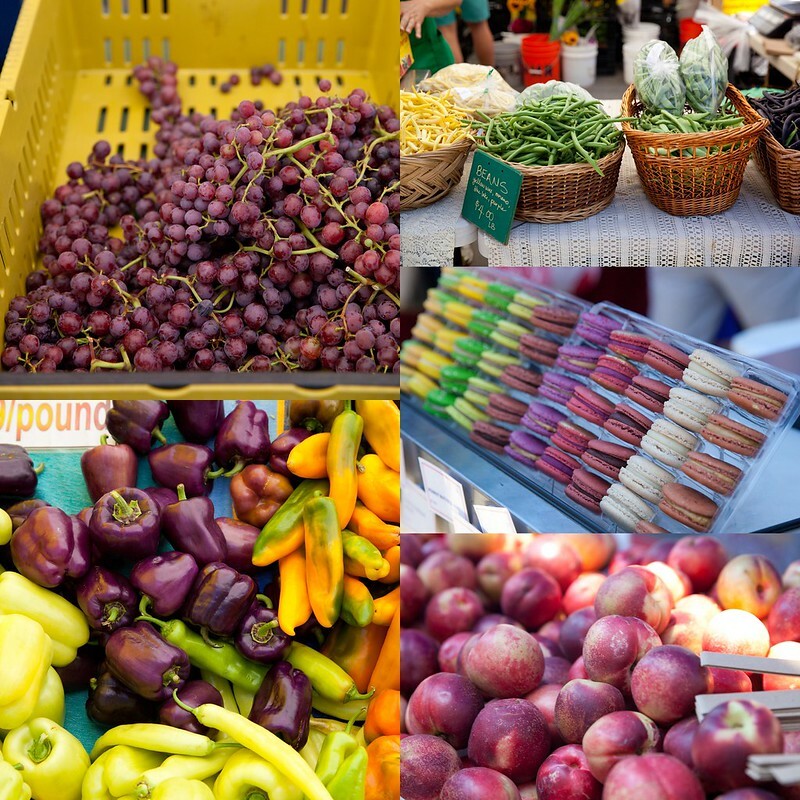 Not only was I repeatedly struck by the bountiful offerings, I was continuously amazed at how the stands seemed to continue on and on in each direction that I turned. I think I probably missed about a third of them as a result of a hangry/jet-lagged situation setting in after a while there. Being there made me desperately wish for a kitchen in which to cook with all of the amazing ingredients at my fingertips! 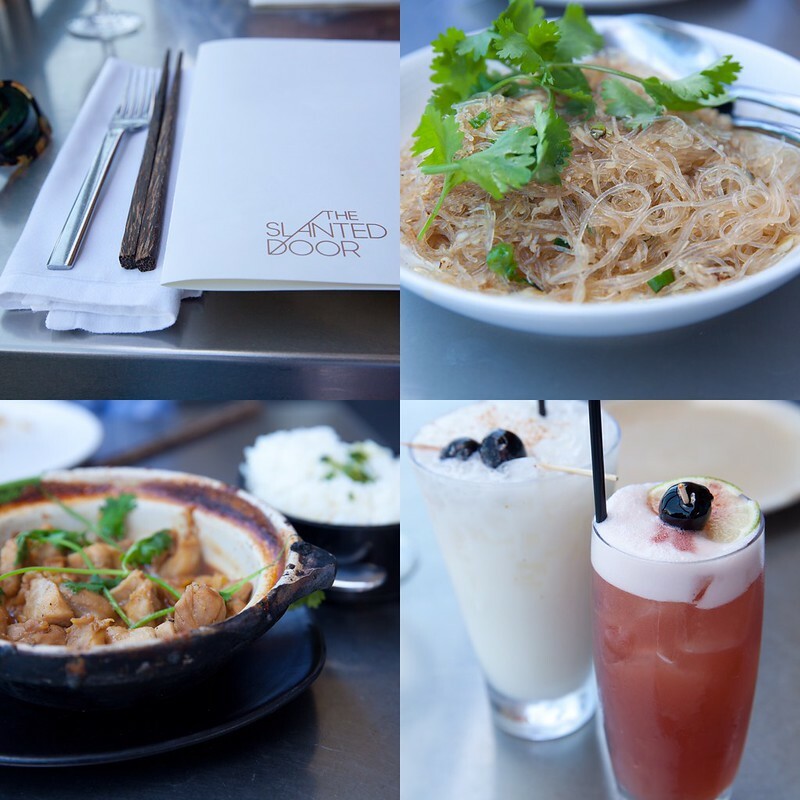 Even though that wasn’t an option, it is obvious that the general accessibility of these spectacular offerings played a huge role in the huge number of truly excellent meals we had in the city. So yeah, the farmers market is amazing but that’s just the outside! 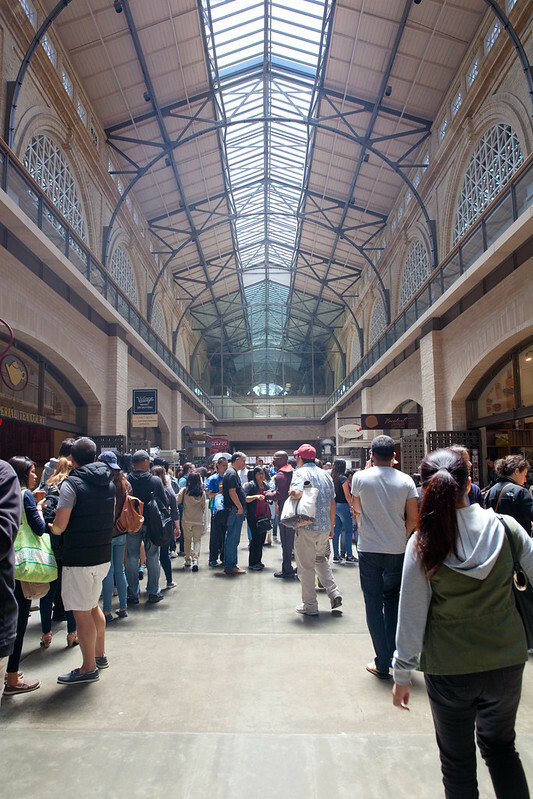 Inside the Ferry Building are many, many more fantastic eateries and shops with more lovely ingredients, gorgeous tableware (hello, Heath Ceramics), and more. I thoroughly enjoyed the relative proximity of the Ferry Building to our hotel because we could wander there at any time to explore. Even though we took multiple trips there and spent several hours, I still feel like I could wander around for many more hours before I was tired of it. Just outside is the Bay Bridge, aka the much less famous bridge in San Francisco. This was a view on a nearby pier caught on one of my morning runs – so pretty! Now seems like as good a time as any to talk about where I stayed. Man, I would love to be able to tell you that I highly recommend my hotel and it was so great buuuut, I definitely do NOT recommend where we stayed. Though I prefer to focus on the positive and therefore, things I would recommend, I still want to keep you informed so you do not make the same mistake. We stayed at Hotel Zetta – do not do it! Of course it wasn’t all bad, so here are the few things that I liked: friendly staff, unique modern decor, and the location was pretty nice. Things I hated: the layout of the hotel is awkward in that half of the rooms (NOT ours) have windows with a street view and therefore some sunlight. Ours was on the non-street side, with the one small window maybe five feet from a metal wall, and had essentially no natural light. The room lighting wasn’t enough to make up for it and it had an overall depressing vibe as a result. But the thing that I really just could not get past in any way was that housekeeping literally never serviced the room. Not once. Not even when we specifically requested it multiple times (after having gone two days without) and left the room for several hours so that it could be cleaned. 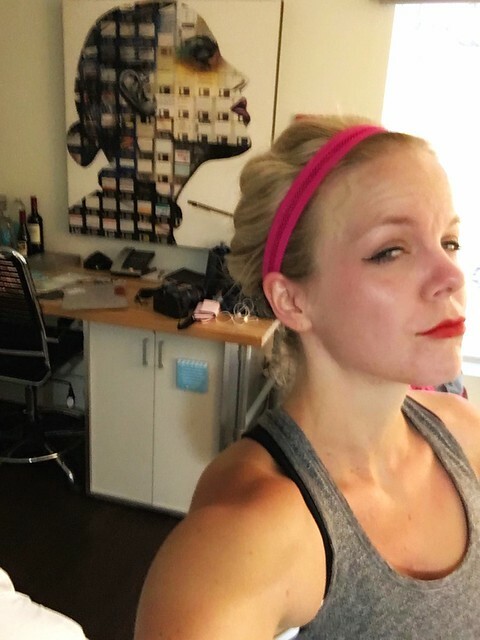 I did have fun taking this post-workout selfie with the lady on my wall, but truly I could not wait to get out of this place. Based on my TripAdvisor research, the other main hotel I had been considering was the Omni. I met a couple in wine country who had stayed there and they really recommended it, so that is helpful to know. Were I to go again, that is likely where I would stay. Thankfully there was just a tiny bit of room left in my belly which was perfect because I really wanted to experience Dandelion Chocolate before we left the city! 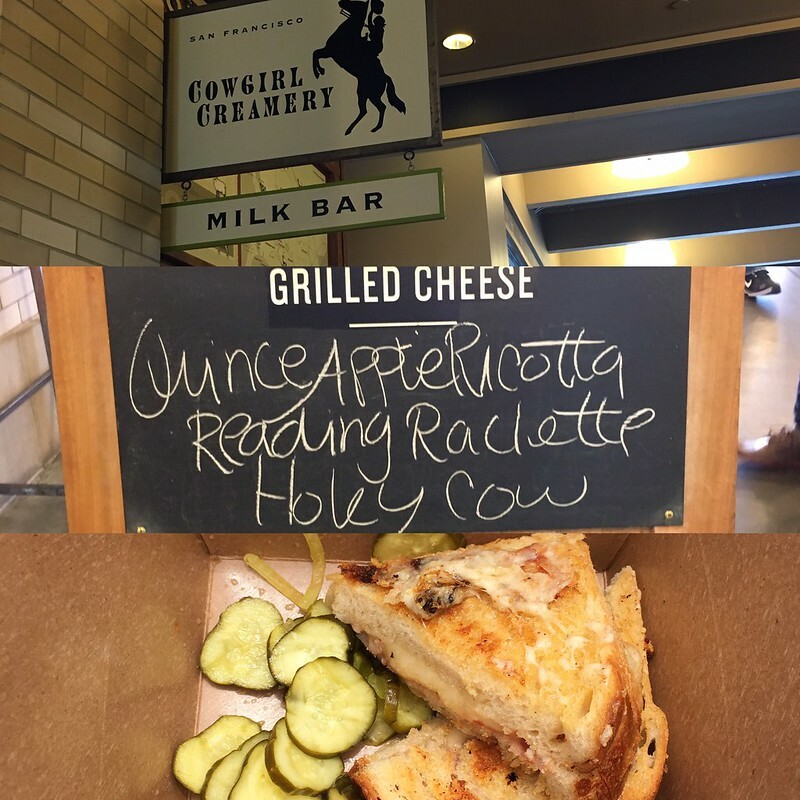 We didn’t have time to stop at the full shop when we were in the Mission District, so the shop in the Ferry Building was the perfect solution. They are a bean-to-bar chocolate operation, which I love, and getting to taste some of their different chocolates was a real treat. It was really interesting to taste so much difference from bars made from different beans. (For the record, I think I am much more into chocolate tasting than wine tasting, as it turns out.) 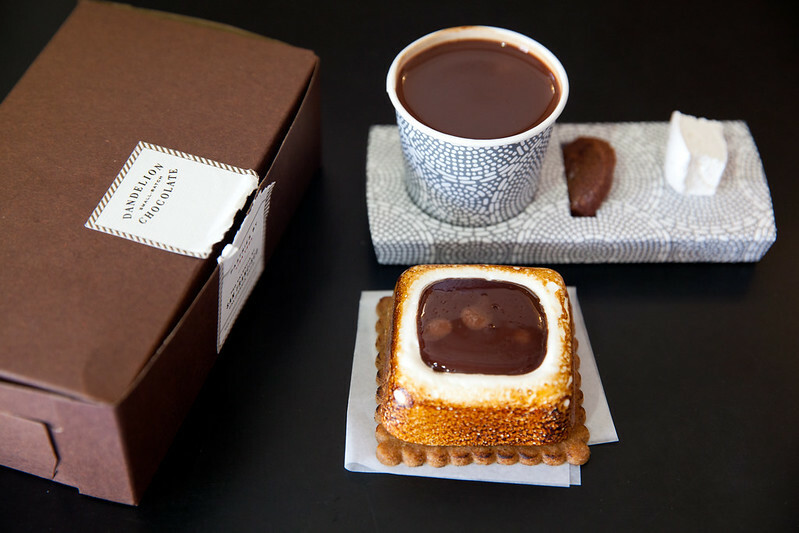 I also tried their drinking chocolate (delish) and their s’more which was like, so fancy, and completely superb. Anyone wanting me to find a way to recreate this at home? Seems like a worthwhile endeavor to me. I hope you enjoyed this first look into my Cali trip. More coming soon, mixed in with SO many good recipes I have saved up and other fun things as well!